c'est la vie: The Indian Quiz !! India is now 61 years young,. 61 years since we gained our Independence and are making our own destiny.,. To celebrate this Independence Day, we had a Independence Quiz at my company "MISYS". It was a joyful experience preparing for the quiz. Frankly saying, i came to know many things about our country which previously i hadn't known. I thought why not put up the quiz here for my readers to check their knowledge about India and its Independence. Note: The answers to some of the questions can be found easily with the help of google or wiki. Hence, try answering some of the questions on your own, if you arent able to answer, check out the answers itself. 1)We know The National Anthem of India is “Jana Gana Mana”, written by Rabindranath Tagore. The song Vandhe Matharam, was the National Anthem before that. Who wrote the song. ? 2) We all know that Tiger is the National Animal of India,Peacock is the National Bird. What is the National Emblem of India ? 3) Who had said this: 'Na Iran ne Kiya, Na Shah Russ Nei, Angrez ko tabah kiya Kartoosh Ne'. i) What does this refer to ? ii) Who had said the following words. 4) In the famously acclaimed movie, Rang de Basanti, who had potrayed the character of , Pandit Ram Prasad Bismil. 5) Border is a 1997 blockbuster Bollywood war film based on the Indo-Pakistani War of 1971.
i) She was considered a child prodigy, freedom fighter, and poetess. I had nicknamed Gandhi as "Mickey Mouse". ii) Some of her well known poems, the first volume of her collection of poems was published as The Golden Threshold. Two more volumes were published: The Bird of Time (1912) and The Broken Wing in (1917). 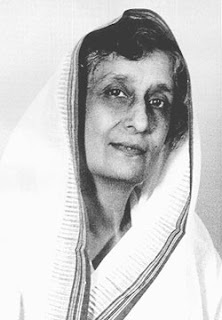 iii) She was first Indian woman to become the President of the Indian National Congress. On August 15, 1947, with the independence of India, she became the Governor of Uttar Pradesh, India's first woman governor. 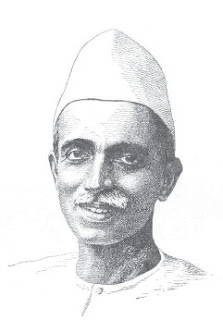 ii) He founded the Indian Home Rule League of America in October 1917, in New York and, a year later, he also set up, with himself as Director, the "Indian Information Bureau" in New York to serve as a Publicity Organisation for India. 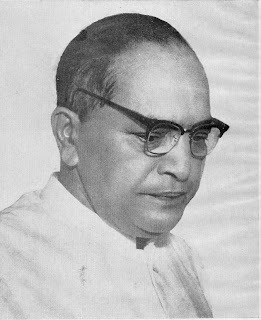 iii) He was also the founder of Punjab National Bank and Lakshmi Insurance Company. iii) He himself led a procession with Pandit Madan Mohan Malaviya to demonstrate against the Simon Commission, which was to prove fatal for him. i) He is famous for his quotes: "I am not fighting this battle to gain a name in history, and my family does not need any help to survive." ii) He started his nationalistic career by participating in the non-cooperation movement of 1921 under Gandhi. When arrested he was asked about his family and name to which he replied Freedom is my name and free India is my family. He is considered the mentor of Bhagat Singh. iii) He was an ardent follower of Lord Hanuman and once disguised himself as a priest in a Hanuman temple to escape a British police dragnet. He was encircled by a huge posse of British troops in the Alfred park, Allahabad. He was asked to surrender but he didnt and kept on fighting till the last bullet. The Alfred Park was renamed to his name. 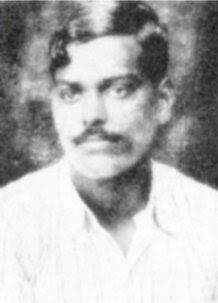 iv) He had remarked that 'there can be no British power on earth that could arrest him', true to his determination and name, Azad remained free throughout his life as a mortal being. i) In Kashi he met a SIKH and he was inspired to change his attire and started wearing turban from then onwards. ii) His nationalistic poems Vanthe Matharam, Enthayum Thayum, Jaya Bharath were printed and distributed free to the audience. He is rightly referred to as the National Poet of India. iii) He has published two of his most widely read epics Panchali Sapatham and Kuyil Paatu,an ode and a tribute to the poet's favourite Shelley. i) He was nicknamed "Joe" while he was studying in Harrow,London. He proceeded to study natural sciences at Trinity College, Cambridge before choosing to train as a barrister at the Inner Temple in London. ii) He was the anonymous author who had acknowledged Nehru's initiative and had remarked that Nehru's character was marked by "intolerance of others and a certain contempt for the weak and inefficient". and signed himself "Chanakya" and worried that soon "Jawaharlal might fancy himself as a Caesar". iv) He is the author of the books: The Discovery of India,Glimpses of World History,Tryst with destiny and Letters from a Father to His Daughter. 1) Who was the president of the Constituent Assembly that held the 'Independence Meeting'? 2) Who was the viceroy of Independent India? 3) Name the first woman minister of Independent India. 4) What does the navy blue wheel that appears in the Indian national flag stand for? 5) The first stanza of Tagore's 'Janagana Maana' has been selected as India's national anthem. How many stanzas are there in the original song? "See and Tell" : Identify the Personalities. Let me see how many people come up with the right answers. A request also. In case you know of any incident about our Independence Struggle, which is unknown to others, it will be very kind of you if you could share such info here , it would be useful to other readers as well. For instance, let me share a question which i came across. Which Indian Newspaper did not carry Gandhi ji's Assassination as its headlines when Gandhi was assassinated on Jan 30st 1948...? If anyone knows the answer to this Q, let me know. The answers to the remaining questions will be put up in a week's time. Well, a reader in Rambhai has been following the quiz with great interest. I thought why not give clues for the Picture round. Lets start with the Lady's picture.